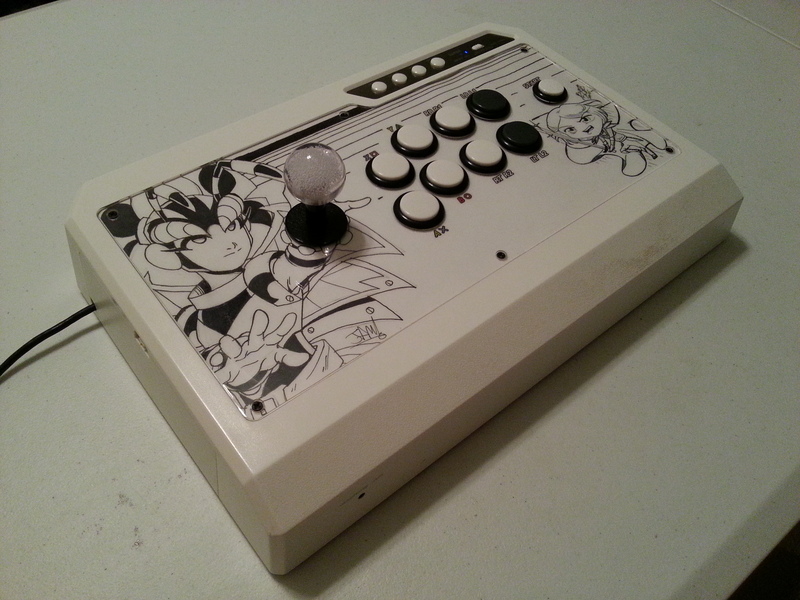 I’ve always wanted to put some one-of-a-kind hand-drawn art in my Qanba Q4RAF, so at last weekend’s Ohayocon, I brought a blank template and and asked a couple of the artists there to draw their original characters. The team of Iota Soul knocked it out of the park with Killer Bee on the left side. Kuroitenshi added her D&D fighter on the right side and gave me some crucial advice on how to complete the design from there. 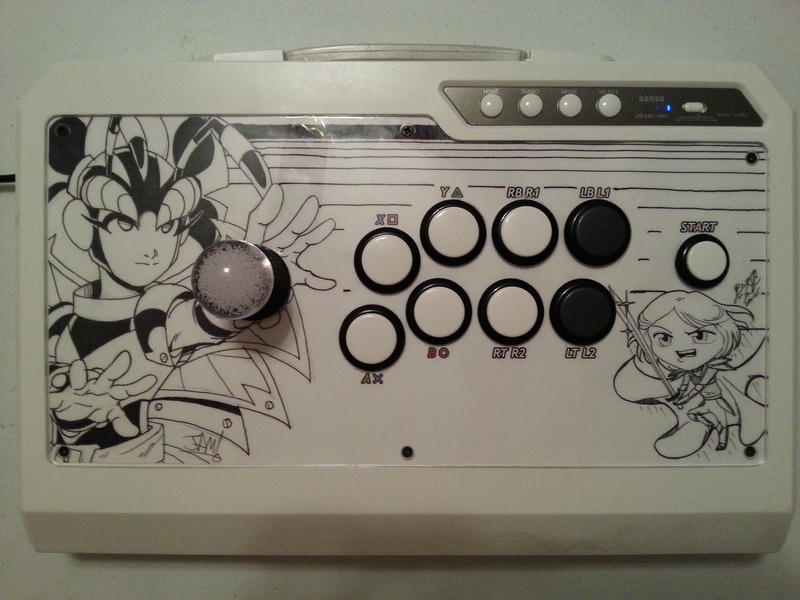 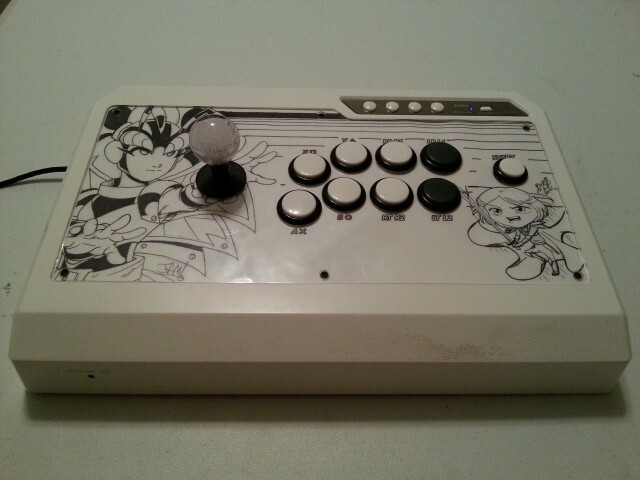 I drew some Vewlix lines at the top, put it in the stick, and changed all the buttons out to black and white to complete the hand-drawn sketch look. 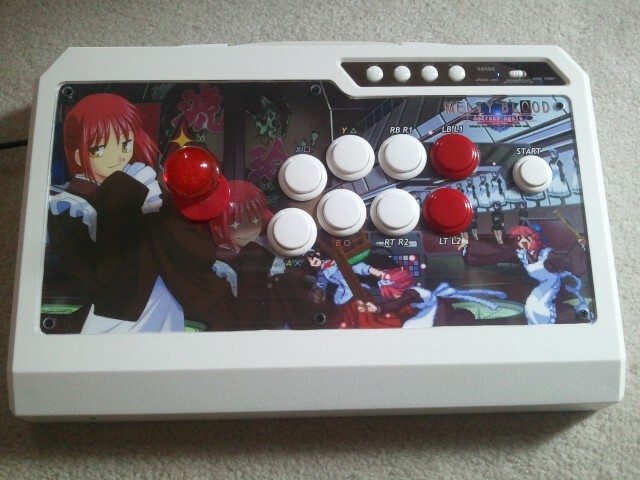 This replaces my previous art on that stick, which is all about Kohaku from Melty Blood, a series of really nice doujin fighting games that never made it out of Japan. 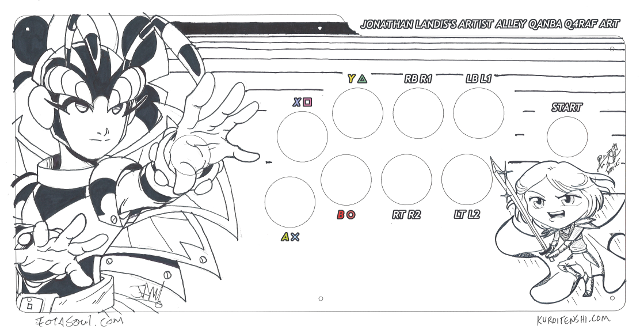 Also, here’s the template I printed out for Ohayocon. Click the template below for the 300dpi version, and it will print at just the right size for the Qanba Q4RAF.